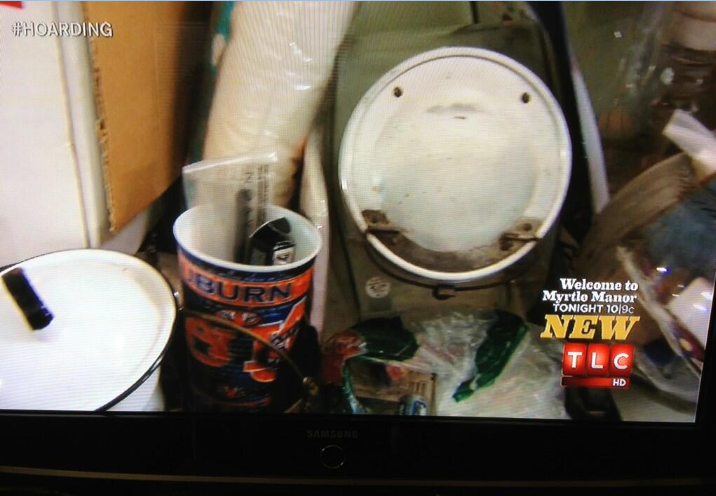 Thank goodness we finally started our oh-won’t-you-please-give-TWER-Infinity auction because the latest episode of TLC’s Hoarders: Buried Alive, featuring a woman (presumably an Auburn fan) from the Heart of Dixie, was kind of like staring into my possible future. For reals… help me. Of course, if there’s one thing perfect for the Keep Tarp come Clean Out Day, it’s the Auburn cup.